Charmaine DaCosta is an independent artist, singer/songwriter and entrepreneur. Her debut entitled, “Say You Love Me” was her first solo effort since parting with Worl-A-Girl, the ‘90s dancehall girl-group with whom she first gained notoriety. 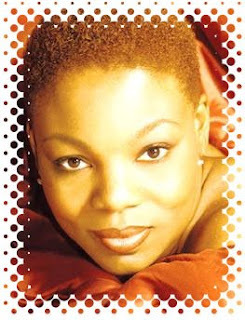 Charmaine was an integral part of Worl-A-Girl's early success story having substantially penned most of the group's early hits including "I Can't Wait," "You That I Want," and "Jamaica Bobsled Chant", which was part of the Disney movie soundtrack for “Cool Runnings”. It is no surprise then that the level of the writing on this effort was outstanding as is DaCosta’s hallmark. With Worl-A-Girl, Charmaine traveled extensively throughout the Caribbean and United States as well as Japan, on various tours including Reggae Sunsplash and Japan Splash and the Cool Runnings Tour. They appeared on Late Night With David Letterman, The Arsenio Hall Show, BET's Teen Summit, MTV and Channel 13's What's the 411?, as well as numerous regional cable video shows. Charmaine has also been a guest host on WLIB radio with Bob Fredricks. Women will love this CD as there are so many songs that touch on their issues in the world and their faith. Christian singles will particularly identify with “Do You Know”. Ever found it difficult to pray? Then “This Letter” is just for you; feel isolated? “God in me” is the ticket. Since “A Prayer’s” release, Charmaine has been doing promotional dates in New York, Atlanta and Jamaica. Charmaine also sings with internationally acclaimed Central Baptist Church Choir which has sung behind such stars as Barbara Streisand and Patti Labelle, and is also a member of the Bobby Lewis Ensemble. The talented songstress holds a BA in English Literature, a MBA in Media Management, is a member of Phi Beta Kappa honor society and Golden Key International Honor Society.